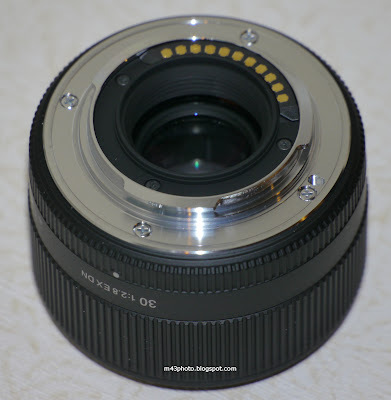 Micro 4/3rds Photography: Sigma 30mm f/2.8 EX DN: It rattles! Sigma 30mm f/2.8 EX DN: It rattles! 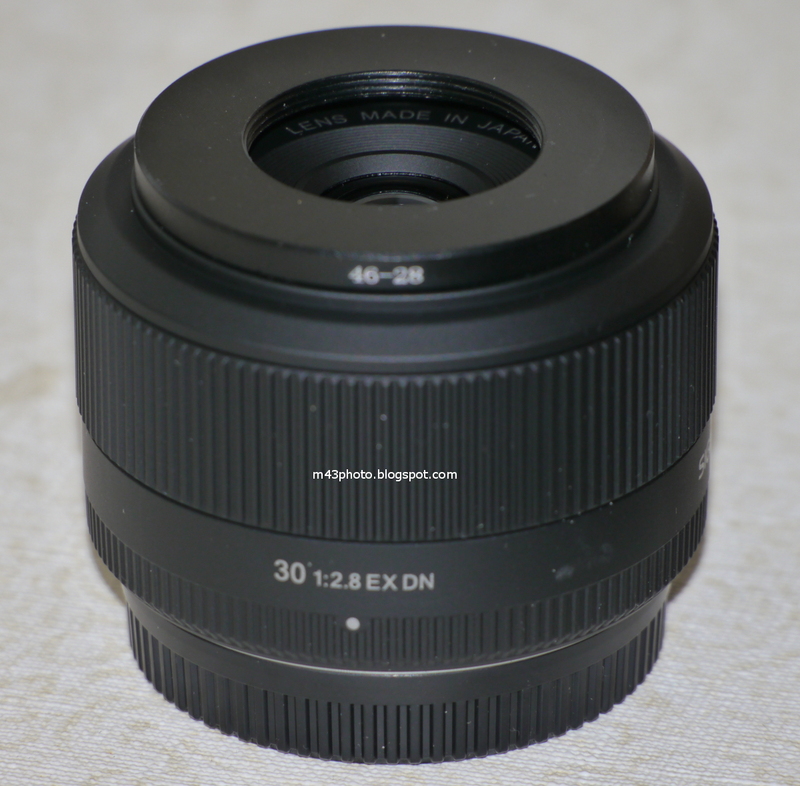 So, I just bought the Sigma 30mm f/2.8 for Micro Four Thirds. When unpacking it, I quickly noticed that it rattles. My first thought was: "I have to take it back to the shop, what a mess." But then I calmed down, and searched the internet, finding that this is a common observation. So the lens rattles, and it is normal. Some Panasonic lenses also rattle, by the way, mostly the ones with an OIS unit, which is loose when the lens is not powered. You can feel that something is loose when tilting the lens forwards and backwards. I guess that the focus unit inside the Sigma 30mm lens is loose, to enable quick focusing. When the lens is "active", the rattle disappears. I think that Sigma should put something to this effect on the box, to avoid this confusion: "This lens rattles, and it is normal. Don't worry about it!" On the other hand, that might deter some from buying it in the first place. The lens feels well made, with high quality plastics. It has a metal mount. The focus is internal, so the front lens element does not move, unlike the Lumix 20mm f/1.7 pancake. The front lens element is surprisingly small. On the other hand, the rear exit pupil is unusually large. It is also recessed quite a bit into the mount. Perhaps Sigma made this design choice so that the optical layout could also be used on the Samsung NX format, with a significantly longer register distance? A longer register distance means that the exit pupil must be further away from the sensor. The lens has a plastic focus ring. It is not rubberized. It rotates smoothly. The focus speed appears to be very good. I haven't done any systematic studies yet, but preliminary, I can see that the lens exhibits some CAs in the corners at full open, and even some smaller amounts stopped down to f/5.6. One could speculate that the lens formula, being designed to work also with the larger sensor Sony NEX format, will exhibit good vignetting characteristics on the Micro Four Thirds format. It does appear quite sharp, even full open at f/2.8. I will come back with further image quality studies later. You'll also need a 28mm front lens cap. Both can be bought online very cheaply, setting you back approximately US$10 including shipment from China. This simple hood adds some bulk, but makes me feel more safe when I use the lens. That's worth something for me. At first sight, this looks like an odd lens: It is not very fast, at f/2.8. Nor is it a pancake lens. It is fairly large for a slow Micro Fourt Thirds prime lens, in fact. Both the Lumix G 14mm and Lumix G 20mm pancake lenses are smaller, and faster. In terms of exotic lens elements or premium branding, it does not have anything extra to offer. And it does not have any OIS unit. On the other hand, it is very cheap, and seems to provide a good optical quality. 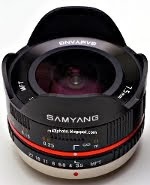 So it may be a good choice for users who want to try a prime lens, having come from kit zoom lenses or compact cameras. The focal length is a bit odd. However, keep in mind that this lens is designed primarily with APS-C sensor size in mind, where it corresponds to a slightly short normal lens. On Micro Four Thirds, it lies between a normal lens and a portrait lens. However, I still think the focal length is fine. It could be used for portrait photography, as long as you make sure to keep a distance of 0.7 meters/2 feet from the subject's head to avoid distortions of the facial features. Or you could use it for street photography, or a number of other applications. Does the lens stop completely rattling when the camera is powered on, on you still feel that there's something quitely loosing around when you shake it ? The rattling stops when the lens/camera is powered on. When powered on, you don't feel anything loose inside it.